Don't Let Fleas Ruin Your Pets Summer! A member of the insect family, fleas are external parasites that live off the blood of mammals and birds. They are wingless, with mouth-parts adapted for piercing skin and sucking blood. 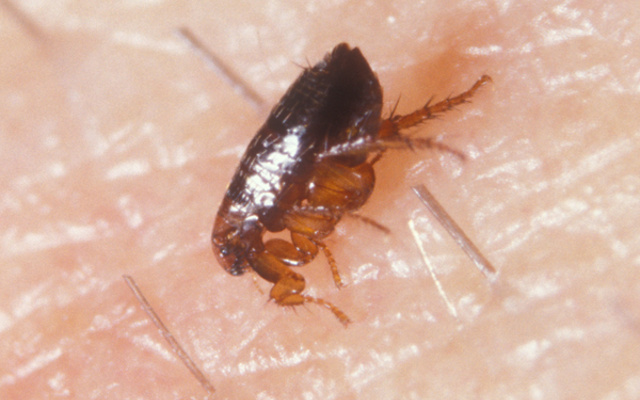 Fleas generally prefer to feed on hairy animals, but will also feed on humans usaly leaving bites around the legs and ankles. They do not have wings but are capable of jumping long distances. 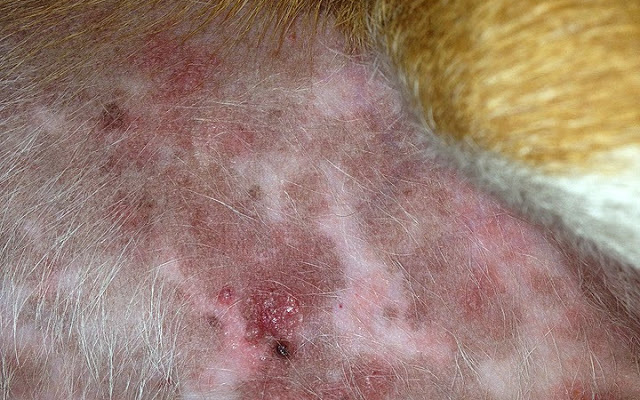 Fleas depend on blood to survive and most fleas are introduced to the home by pets. Fleas will also be found living in cracks and furniture in the home. Proper treatment should have any pets treated by a veterinarian. Interior treatment of the home should consist of treating all cracks, baseboards, bottoms of furniture, vaccumes etc. Since the immature stages of fleas are very cryptic by nature, the first thing the home owner should do is contact their pest control professional for assistance. Most of the time simply using over-the-counter products for controlling fleas will not resolve the root causes of the infestation. Your pest management professional will conduct a thorough inspection and locate areas where the immature stages of the flea population are residing. After completing the inspection, the next step is preparing the flea management plan. This plan will include:. Regular bathing and grooming of pets. Using a strong vacuum to physically remove flea eggs, larvae, pupae and adults. 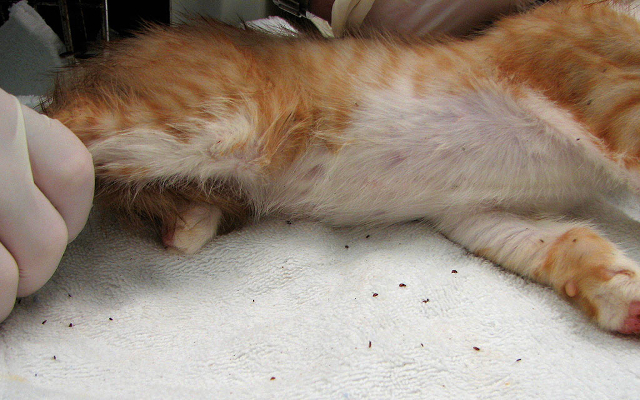 Treating affected areas by using safe and effective flea control products where immature fleas may be located. Canadian owned and operated, AAA Plus Exterminations has been in business since 1997, providing service in Winnipeg, Eastern Manitoba and Kenora.